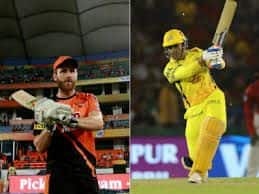 IPL 2019: Gayle turned out to be the showstopper as he became the fastest to 4000 IPL runs. 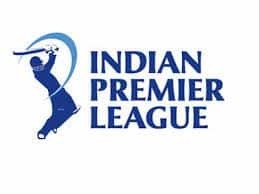 IPL 2019: Dhawal Kulkarni showed immense calmness inches from the boundary ropes as he completed a brilliant catch to send Mayank Agarwal (22) packing. 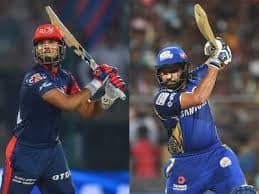 It happened in the ninth over, when Agarwal cleared his front leg, looks to go lofted over mid-off, but in his desperation gets a little too much wood under the ball. The ball looked destined to clear the ropes and that is when Kulkarni positioned himself perilously close to the ropes and stuck his hands up high only to find the ball get stuck in his hands. He realised that he had not crossed the ropes. The umpires looked at each other contemplating going upstairs but decided against it as he completed a great catch. Meanwhile, KXIP’s Gayle joined David Warner to become the second overseas player to breach the 4000-run-mark. He also joined an elite group comprising of Indian stars like Virat Kohli, Suresh Raina, MS Dhoni. Gayle needed six runs to get to 4000 IPL runs and he did it quickly as Rajasthan Royals won the toss and opted to field first. Gayle opened the batting for KXIP along with KL Rahul. 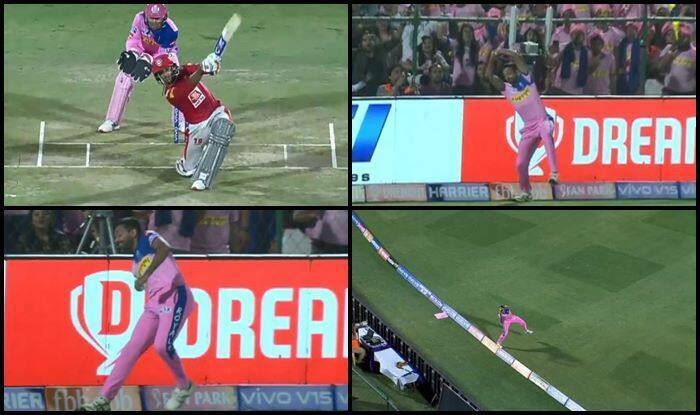 Gayle currently has 3994 runs in 112 IPL caps and with an impressive average of 41.17, the Southpaw is a major concern for opposition bowlers. He is the fastest to 4000 runs and the ninth player to do so. At the time of filing the copy, KXIP were 155/3 in 18 overs.